Marathon #3 is in the books! 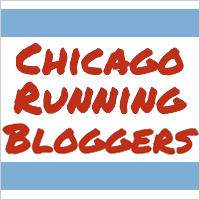 As I mentioned last Thursday, the weather was a bit of a concern heading into the Chicago Marathon this year, but by Friday or so I had totally come to terms with the forecast. I knew worrying about it wouldn’t make one bit of difference, and realistically, given that I trained in the summer for this race, I felt prepared to handle the heat. Spoiler alert: the heat won. But only kind of. On Saturday night as I made my night-before-a-long-run concoction of pasta, peas, corn, and olive oil (the exact thing I’ve eaten before almost every single long run, no matter the distance, for about two years now), I felt a bit of a…sensation, if you will, in my throat. It didn’t hurt, necessarily, but it certainly felt irritated. Upon further concentration, I realized that my nose also felt a little bit stuffed, and my heart sunk. With about 14 hours to go until my third Chicago Marathon, I had come down with a cold (pro tip: don’t kiss boys who are getting over colds when you have a week to go until a marathon, no matter how much you like them, especially when said boys have made it quite clear that they’re very understanding of the whole “This marathon has to be a bigger priority than you or anyone or anything until it’s over” thing and probably would not freak out over your refusal to kiss them until they’re decidedly germ-free. Lesson learned.). Much like the forecast, there was nothing I could do about the cold situation, since my time machine, unfortunately, is in the shop, so I figured I’d just try to roll with it. I went to bed super early on Saturday night and woke up SO, SO, SO excited to run the marathon. Because the CARA Compound moved to the Raddison Blu Aqua this year, which is over a mile away from Corral G, where I was located, and the finish line, I opted to use regular gear check with the rest of the peasants for the first time ever. I got to Grant Park about an hour before Wave 2 corrals closed, so I had plenty of time to sunscreen up, check my gear, and use a portapotty before heading over to Corral G. I had hoped to see my CARA friends in there, since they were all in Corral G as well, but no dice. No major love lost for me: I didn’t plan to run with them anyway. I outlined my pacing plan on Thursday, and, despite the weather/my cold, I decided to still roll with it. After the longest march up to Monroe & Columbus ever (seriously, though: I started the race later on Sunday than I started it in 2013 and 2014, despite being in the same corral every year), I took off at a very conservative, comfortable pace. Though it warmed up quickly, it was actually quite cool at the start, and I felt like I could’ve run a lot faster. It wasn’t easy to hold back, but overconfidence at the start of a marathon almost certainly spells doom later on, and “banking time” in the first couple of miles pretty much always backfires. So I held back. My watch flipped the hell out under Wacker Drive, thus making it almost totally useless throughout the race, at least as a GPS device. I stuck to the blue line that indicates the tangents of the race like my life depended on it for all 26.2 miles, only deviating when ABSOLUTELY necessary, due to having the crowd standing on it, volunteers standing on it, or knowing that the people who had come out to watch me run were on the other side of the road. Other than that, I ran either right on top of or right next to that line the whole time (singing, in my head, “Follow the painted blue line! Follow the painted blue line! Follow, follow, follow, follow, follow the painted blue line!” to the tune of “Follow the Yellow Brick Road,” because you’ve got to do something to entertain yourself on that long of a run, right? Right. ), so while I’m sure I ran a little more than 26.2 miles, I’m equally sure I hadn’t run 1.64 miles by the time I hit the one mile mark, despite what my watch wanted me to believe. I had a feeling it wouldn’t be perfect anyway, and this obviously confirmed my suspicions, so instead of paying any attention to the distance or pace my watch spit out at me during the run, I manually lapped it on every mile, using that to keep track of my pace. I intended to run the first five miles at an 11:00+ pace. My first mile was a 10:46, but I settled into a nice 11:00ish pace after that. It felt so nice, in fact, that I was hesitant to increase it, but since I really wanted to negative split, I stepped up my game. On Inner Lake Shore Drive (so all of a whopping sevenish miles into this thing) I felt pretty lousy, which is not exactly how I’d like to feel with 19 miles left to go in a marathon. I honestly thought I was going to have to start walking on Broadway and got pretty worked up about it, but thankfully I was able to calm down after I saw my family at Wellington. Speaking of my family, can we please discuss the signs they made for me this year? OMG. I’m in love. Can you ever go wrong with arctic seabirds?!? The answer to that question, my friends, is a resounding, all caps, bolded NO. By the time I got to Sedgwick, I was both feeling much better and blessing Liberty Mutual for being out on the course with what were essentially wet wipes. Even though they weren’t much to write home about, having something cool to rub on my neck and face felt SO good. I don’t know the temperature at that time of day, but when I hit the 10K mark, the sign on Presence Health said it was already 66 degrees, which is pretty darn toasty, especially when there isn’t a cloud to be seen in the sky. And then! Starting at the aid station near mile 10 and continuing for most of the race, the aid stations had misters, which was everything I had ever hoped for in life. Running through cool water was the most wonderful feeling in the world. That aid station (and the one in Pilsen) also had sponges, which was top notch. I tossed my Old Town sponge but hung on to my Pilsen sponge until one mile left in the race, dumping a cup of water on it at every aid station to give me something cool to hold while running in the brutal, beating sun during the back half of the course. I felt pretty solid running down Wells and hit the half marathon mark in 2:22:54, which, oddly enough, is exactly 20 seconds slower than the time I ran in my very first half marathon. This had me looking at roughly a 4:45 finish if I could maintain my pace, or even faster if I could negative split like I wanted to. I was still attempting to speed up at this point, but with much more limited success than earlier in the race. The true test of the day came after UIC (where I saw my family for the second time): Taylor Street. As you may or may not recall, this is where the wall and I had a very intense meeting in 2014, and I was determined to not allow that to happen this year. All I wanted was to make it to Ashland, and I’d consider my race a success. I hit the aid station on Taylor still feeling pretty good, and saw Erin, who was kind enough to dilute my Gatorade for me AND offered to run with me if I needed help, which I thought was the nicest thing ever. I very, very rarely drink Gatorade while running, but I was concerned about my hydration status and thought I should give it a shot. Just like last year when I had a little bit of Gatorade, I fought a crampy stomach for a mile or so post-Gatorade, so I’m thinking that may not be the best solution for me, even when I do water it down. But despite a crampy stomach, I still persevered on Ashland. Though I could feel my legs getting tired (actually, my legs had started to get tight around mile 14) and knew my pace was slowing down, I didn’t feel like I needed to walk, so I kept on chuggin’. Pilsen was amazing. I absolutely adore the energy on 18th Street. Even better this year, I saw two of my friends from church on 18th Street, which was a HUGE surprise. I had no idea they were going to come out for the marathon, and I have even less of an idea of how they managed to spot me, since I was on the opposite side of the road from them, but I heard someone scream, “BETHANY! !” and fortunately looked over and saw them. That gave me a huge emotional boost and powered me through to mile 20. I was losing a little steam in Chinatown, but whoever was playing music right by Chinatown Gate happened to play Gonna Fly Now when I passed through, which made my day, as that’s one of the songs on my pre-marathon morning playlist (I don’t listen to music while I run, but I do listen to music while I’m getting ready to run the marathon. Actually, Best Day of My Life by American Authors is also on that playlist, and that song was playing when I hit Erin’s aid station. High fives all around for on-point music selection.). After getting through Chinatown, I knew I didn’t have too much farther to go until I saw my family for the last time and, even more importantly, hit Michigan Ave. I was still feeling all right, though my legs were becoming less and less inclined to move and the miles started to feel a LOT longer than they had early in the race. At the aid station in post-Chinatown pre-IIT Highway Land, I walked as I got a cup of water, but that was so ouchie that it convinced me to not walk any more during the race unless I absolutely had to. In past marathons, I’ve always walked at least part of the aid stations, but this year, that teeny tiny 30-seconds-at-most walking situation was the ONLY time I walked in any capacity throughout the entire race. Prior to Sunday, I had never run more than 20 consecutive miles, so I was THRILLED to run the entire marathon this year. (I suppose if you want to be really picky I didn’t run the whole thing, due to that minor walking break to get the cup of water, but personally I don’t think aid stations really count, at least in terms of walking.). I saw my family after running over the highway and looked better than I’ve ever looked before at that point, though I was feeling a bit rough by then. My legs were super over this whole marathon thing and hurting in a variety of places (my shin, briefly; my right hip, more consistently. If anyone remembers my brush with bursitis from a couple of years ago, that’s what the pain felt like. Shoot-y owie make-you-wince sort of pain. At least it only lasted a second when it would happen. ), but doggone it, I was going to finish what I started! I had hoped to have a bit more energy to finish things out, but my body was not having it. Michigan Ave. was particularly awful this year, because basically the entire three miles were in full sun with no available shade, regardless of whether you followed the blue line or not. Even with the wind at our backs, by then it was well into the 70s, and that was HOT. I kept drinking water at every aid station and dumping an additional cup on my head, but it only made a negligible difference. I also kept an eye on my watch, and by that point I was pretty sure I wasn’t going to hit 4:45 (when I hit mile 25 at 4:38, I was very sure I wouldn’t hit my goal of 4:45 haha). I did, however, know I was probably going to PR, which was good enough for me. At mile 25 I was hit with some pretty intense nausea, and honestly thought I may throw up right then and there on the course. I didn’t, thankfully, but I wasn’t feeling very stellar. My emotions were also totally cranked up to 11, and when I approached Roosevelt, I started to do the weird crying thing I do during marathons, where I’m basically crying, but also not crying because I can’t breathe enough to cry. Haha. That actually also happened when I turned onto Michigan Ave., and started reciting my Michigan Ave. mantra: “Round the corner, up the hill, round the corner, then you’re done.” Got me all choked up this year! Seeing the finish line after the turn onto Columbus will never not be an overwhelming experience, I don’t think, and I was a bit of a mess heading down to the finish line (though a fast mess: I had a little something left for a kick, which made me really happy.) and finished in 4:52:52 for a 4:59 PR. I can’t remember if I cried as I crossed the finish line or not, but I know for sure I cried a bunch walking through the finisher’s chute. And I know that one of the marathon’s photographers (who I happen to know outside of her work with the marathon) saw me and took my photo, so, since I was wearing a Nike tank top, my fingers are now crossed that I’ll be on the marathon’s ad campaign next year 😛 I also know that, after taking a sip of Gatorade, my nausea intensified rapidly. I was not feeling good at all as I waddled through the various stations (medal, heat sheet, food, ice), and thought about going to the med tent, but I wasn’t sure what the procedure for going to the med tent was (as in, I didn’t know if I could just walk in, or if I had to be taken there), so I continued on my way, walking about as slowly as humanly possibly back to Buckingham Fountain to retrieve my things. My foot, which hadn’t bothered me at all during the race, was feeling REALLY cranky by this point, too, just to add insult to injury (or injury to illness?). I got my gear and sat down in the shade, texting my parents to let them know I wasn’t feeling well. When I sat down, I noticed what looked like a rash on both of my legs, and at that point I began to worry that I may be dehydrated or overheated. Being the good hypochondriac that I am, I Googled both of these conditions and decided I was probably overheated. By then, I was long out of the finisher’s area, so I really didn’t know if I could get back to the med tent at that point. It looked like there was another med tent on the other side of Buckingham Fountain, so I set out to walk in that direction when I encountered two EMTs walking with a wheelchair. I asked them where the nearest medical tent was, leading them to ask me what was wrong, leading me to start crying (…again) and telling them that I felt really sick. They had me sit down in the wheelchair and asked me a couple questions before taking the bag of ice I had grabbed in the finisher chute and putting it on my neck. To be safe, they radioed for a golf cart to take me to the med tent, and in a few moments the golf cart arrived, sirens and all. (Also: shoutout to the random person who congratulated me on my finish while I was in the wheelchair. You made my day, stranger.) The golf cart took me to the mysterious land of the medical tent, where two doctors, an EMT, and a medical student all attended to me in short order. I could answer all the basic questions (I could even muster up sarcasm when they asked me where I was, and I responded by saying, “I’m in the medical tent at the BANK OF AMERICA Chicago Marathon.” Heh. They also asked me if I finished, and I was like, “They don’t just give you this medal, you know. You have to earn it.” Hahaha. ), they deemed me coherent, but my mucous membranes were tacky (whatever that means), so MD #1 told me I had mild dehydration. They brought me a bottle of Gatorade (MUCH better than the Gatorade at the finish line, which was not at all diluted enough for my liking), though they also offered me broth, which sounded better and I kind of wish I had taken. A nurse eventually offered me food, too, so then I got myself a little bag of pretzels (mmm salt), which tasted really good. My pulse was super high when I got into the medical tent (my pulse is normally in the 80s or so after exercise: it was 100 when I got the med tent almost a full hour after I had finished running). I had actually taken my pulse earlier on and was concerned by how high it was), but came down a bit after I sat around for awhile. Fortunately they didn’t get too bent out of shape over my quite-low blood pressure, (my blood pressure is normally low as well, but it was lower than normal when they took it in the med tent) because I was afraid if they did I’d be stuck in there for a long time. All told, I spent about 30 minutes in the med tent before being discharged with instructions to continue hydrating, take it easy for the rest of the day (like I needed to be told to take it easy after running a MARATHON. Haha), and to go to urgent care to get an IV if things took a turn for the worse as the rest of the day wore on. I waddled out of the med tent, through the finishers chute again (it’s a much different scene there at 2:15 in the afternoon compared to 1:10, when I finished the race), and hauled myself over to the Hilton, where I met up with my family, continued to sip on the Gatorade I got at the med tent, and ate more pretzels before we went to get real food. You did great!!! I was so happy to see you looking and feeling strong at 18, too! Great job on Sunday. Thank you! I’m so glad I saw you this year! A huge congrats to you on finishing!! I loved cheering everyone on this weekend – and I was getting emotional just watching, I can only imagine how you felt! Thank you!! (Seriously, though. Boys are nothing but trouble. Them and their stupid cooties! Haha.) I really never thought I’d be able to run an entire marathon without walking – there is absolutely no shame in walking breaks in my opinion. Congrats on the PR and narrowing your positive splits over the last few years! Glad to hear you were okay after the race. Congrats again! Thanks!! I’m really happy to see how far I’ve come. Hopefully I can keep chipping away at things in the next few years (and run on a day when it’s not in the mid-high 70s 😛 ). Congrats on the PR and (mostly, lol, like you said) not walking! I hope you are well hydrated by now and feeling better! Thank you! It took a couple of days, but I’m feeling WAY better now than I felt on Sunday. My water bottle and I have been best friends since the race haha. Congrats on the marathon – such a huge accomplishment!! Congrats on the awesome PR! That’s scary to be in the med tent after a race, but your sarcasm is hilarious. Enjoy the well deserved rest! Thank you! Obviously the medical staff in the tent didn’t know me, but if they had, I imagine my sarcasm would’ve tipped them off that I probably wasn’t in all that bad of shape, even though I felt like I was in bad shape haha. Definitely loving these past few days of doing absolutely nothing, though! CONGRATULATIONS! You were dehydrated and fighting a cold so I can only imagine the number of times you wanted to quit…but you didn’t! I freaked out during the first 8 miles too…my knees were hurting and I was having a hard time breathing and then I started panicking thinking there was no way I was going to make it to 26. The crowds are what saved me, I think. I’m so proud of us! Next year we’ll have to train together more, if you end up running it (if I end up running it too haha). Thank you!! All of the crowd support does make a huge difference. I don’t know how people survive in small marathons! If I had to push myself through all of that, I think it’d be way more difficult. First and foremost, you deserve a huge (albeit much delayed) CONGRATULATIONS!!!! Goal time or not, you killed it at the race this year and I hope you see that!! Marathons are so unpredictable, but our bodies are even more unpredictable, which is where so much of the challenge lies. You ran a smart race and were at least mentally prepared for what could’ve come with the weather. You’ve improved so much as a runner over this entire training cycle, and it paid off (4:45 or not!). And cheers to not walking!! The medical tent story though lol loved it…after I read that I made a mental note to volunteer at a big marathon in the future when I’m a med student and (eventual) doctor. It would be such a fun experience! Thank you!! All things considered, I’m really pleased with how everything went for me during the marathon. The things that went poorly were all beyond my control anyway, and I’m happy with what I did with the things that were within my control. I’m sure you’d see all sorts of things inside the med tent at a marathon as a student and doctor, and big races like Chicago need SO many medical volunteers, that I’m sure your help would be much appreciated! Congratulations on another marathon in the books! You still did amazing and should be proud. I know it sounds cheesy but it is true. I agree that Pilsen was AMAZING!